If You Are Looking For Storage Solutions in MD,VA or DC, Call (301) 424-1410 For Our Storage Moving Service! We at Jake’s Moving and Storage offer our customers various storage solutions if they are in need of moving storage items to their new location. Our local movers are 100 percent licensed, bonded, and insured. We serve Washington D.C., as well as all of Maryland and Virginia. What is our moving storage service? 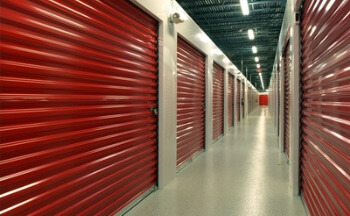 We provide secure storage at convenient locations near either your old or new building. We can pick up boxes and packages you have already pre-packed and take them away to storage, or we can put our experienced packers to work before transporting your valuables. Often, there is a time gap between the move out and move in dates. When this happens, the expedient storage solutions provided by Jake’s Moving and Storage can make life a lot easier for those those who still have one foot in their old locale while the other foot in already in the new one. 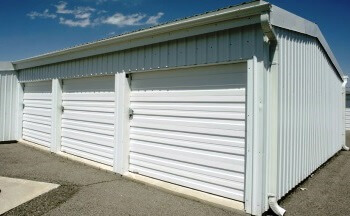 We can take your belongings to a local DC, VA, or MD storage facility and later take them from there to your new abode. We can work with you to set up a storage spot and method that is right for you and to schedule the whole process in the best way possible. What variety of moving and storage solutions do we offer? We can handle local moves and interstate moves alike. We can arrange the logistics of interstate moves to make them run smoothly even when you are traversing the whole nation. We not only have expertise in residential moves but in commercial moves as well. Furniture, appliances, exercise equipment, garden tools, automobiles, boxed-up goods, and everything you want to move can be safely stored for you. Our residential storage service is all-inclusive and is second to none. Office furniture, computers, photocopiers, etc. can be quickly put into secure storage by our dedicated team of professional movers. Moving storage items out again to your new office will be done just as efficiently. Since we are local to Potomac, MD, we are familiar with the lay of the land in Washington D.C.,Virginia, and Maryland. Your move within the same city or state can proceed with uninterrupted precision, and your goods can be stored in a local facility during any wait time. If you are planning on moving between states, whether next door or coast to coast, the fast and friendly movers of Jake’s Moving and Storage can come to your aid. Packing, storing, and unpacking can all be handled by our experts. We are proud to offer our excellent storage solutions and moving services to the areas we serve. We are highly experienced, well-equipped, and work for competitive rates. We give you up front pricing to take the guess work out of your moving budget and never give you any surprise fees. Contact us today 24/7 for a free estimate. We look forward to serving you! Click To Call From A Mobile Phone! Storage Moving and Storage Solutions https://jakesmoving.com/storage-solutions-moving/ 3.8/5 based upon 20 reviews.